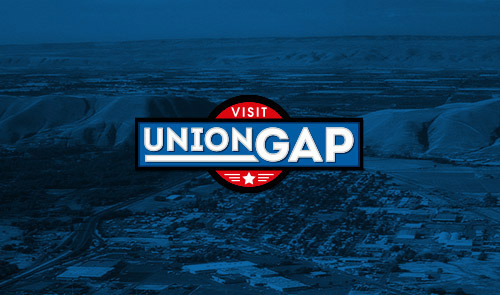 Embrace some Central Washington small town charm by seeing all there is to do in Union Gap! A beautiful and colorful October hike! Enjoy Haunted October in Union Gap! Food writers dropped in, dined and were dazzled! Winter is coming - and we're ready for winter sports! Check out the Vine Venue for your next event! It's Union Gap's Haunted October! Come hike in Union Gap! Visit our Venues Open Houses and Enjoy the Lighted Parade! Car shows, Play the Gap! Yak Attack and more. Plus Asparagus! It's the holiday - and winter sport's season in Union Gap! Your Thanksgiving in Union Gap includes family fun, great food, and of course savings! New businesses in Union Gap attract visitors! Pioneer Power Show and Swap Meet is coming August 15th-16th! It's a Great Time in Union Gap! Enjoying the Red Carpet theater experience in Union Gap! Union Gap tourism is ready for 2015!